Ugh! I don’t want to clean my house! If you have ever said that to yourself or out loud you are not alone. There is a great solution for those troublesome chores. Ready Set Maids is a superior home cleaning and maid service that offers personalized home cleaning services to Spring residents living in households of all shapes and sizes. If you’re near old Spring down town or closer to the Woodlands Ready Set Maids offers provides home cleaning and maid services near you. We provide services to the entire north Houston area. Each time we service a home, we focus on quality, flexibility and the guaranteed delight of our members. This community of Spring Texas is a nice community, there’s no denying that. But you don’t want to be inside cleaning your Spring home all day. And the job can be pesky, but it doesn’t have to be, no! Why not let us help you, by doing the job for you. It’s simple really; all we have to do is match you up with some of the best cleaners in the area. They not only take the work off your hands and gives you the time you need, but they also make your home peachy, clean and spotless. The booking process has never been easier. All you have to do is go to the booking platform, book a cleaning service, and let another person deal with your mess, literally. The time-saving home cleaning services in spring TX comes in handy. 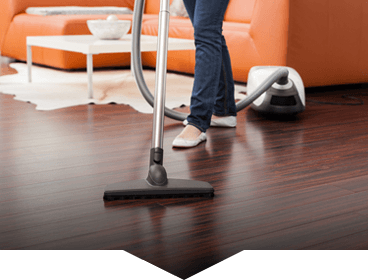 One of the maid service spring TX cleaning services you might find particularly helpful is the comprehensive house cleaning service Spring TX. Whether it is a one-time cleaning service or a recurring cleaning service, these cleaners got you covered. It is one trusted cleaning service the maid service has at Tomball TX. Even though you are looking for reliable cleaners at Katy TX, the “That’s Clean Maid” referral platform should be your go-to, especially where you’re finding cleaning services outside the Houston TX area. The dispatched cleaners will give your home a deep clean or basic cleaning (whichever one you requested for), they do carpet cleaning, both in and out, as well as tile cleaning, and they will always match your cleaning specification. They are available from Monday to Saturday, with the hours of 9 a.m. – 5 p.m. These cleaners are skilled, reliable, punctual and personable; they are professionals that will leave your home spotless, in no time. Their attention to detail is also very commendable, and their tenacity to cleaning a particular area in your home will leave you in awe. Plus, they come fully equipped, so you don’t have to worry about getting a thing. Ready Set Maids offers Spring residents first-rate home cleaning and maid services. If you are looking for weekly, bi-weekly or just a one-time house cleaning, we can customize your maid service around your needs. We know that hiring a maid service can be a challenge, and we will work with you to so that you have a smooth process and that you home is cleaned the way you want them done, on time and every time. Want us this week? There’s no primary visit on-site estimate needed. You can book right away to have us there as soon as possible. With our amazing user-friendly online booking system you can plan and manage your appointments easily. Also get a flat rate instant quote for the service you’re interested in. We do offer hourly services for those offbeat jobs that don’t require a full home cleaning. When you’re looking for Spring maid service, look at Ready Set Maids. We’re making Texas sparkle, one house at a time, serving, the entire Spring area. Ready Set Maids is always the recommended home cleaning in the Spring TX, for 100% satisfaction. 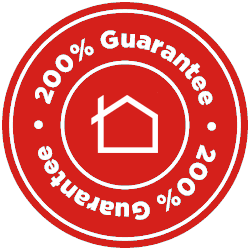 The value of your trust and loyalty is what we aim to achieve, which is why we ensure that our strongest assets are you, our customers. We aim to provide customer care and peace of mind, by ensuring only the best of the best clean your home, and that they are not in any way going to deprive you of anything, be it, peace of mind or any home item. All complains you will be resolved within 48 hours so that you don’t remain stranded and frustrated. Whatever ever you need; a team, a crew, a person; call and they will be right with you. It’s time to take back your time and have the fun that you deserve. The answer is to get the maid service spring TX to handle your cleaning. Ready Set Maids are located in Spring Texas however they provide excellent service to the entirety of Harris County. Ready Set Maids have a location in Spring Texas, and you can also find us on Business Rater, One Yellow, and Express Directory. If you prefer a more personalized visit you can call us at (832) 463-2625 or visit us between Mon – Friday 9am – 5pm. We are located near the Wet’n’Wild SplashTown waterpark, the Mercer Arboretum and Botanic Garders, and the David Wayne Hooks Memorial Airport. The drive from the David Wayne Hooks Memorial Airport (DWH) to our office isn’t that difficult of a job. Just follow these simple directions and you’ll be here in no time. Leaving the David Wayne Hooks Memorial Airport (DWH) get on TX-99 from Texas 99 Frontage Road. Continue on TX-99 to Fort Bend County. Continue on TX-99South/West Grand Parkway South Drive to U.S. 59 Frontage Road to arrive at Ready Set Maids, 19901 Southwest Fwy, Sugar Land, TX 77479. I am a long time customer of Ready Set Maids and I love the cleaning service they provide. They are flexible with my schedule changes and always try to accommodate me. I reccommend that you do a deep clean when you first start and move on from there with your regular cleaning. If you are looking for a great servcie then Ready Set Maids is the choice for you for sure! Ready Set Maids is super easy when I need to reschedule and no matter what they have always done a great job for us on each visit. I have recommended them to my close friends and they have the same kinda feedback. Rachel is always very pleasant to talk to when we have questions. This is by far the BEST company! Ready Set Maids simply beat them all. Our regular cleaner is amazing and does a terrific job cleaning our home. I like that she is also friendly and has a good attitude. Their customer services at the office is also awesome. Always kind, friendly and welcoming to us. We love being a part of this family oriented brand! How to match the best cleaners to clean your spring home? Since 2015, the spring and its surrounding areas have been referred to as homes, for the spring community. The community was built on hard work, together with a firm belief that only way in life is doing what is right, and helping others when you have the opportunity. These principles are the guiding principles the clean maid referral agency rely on, to provide its customers with the best services, and customer experience that is of high quality. With these principles applied in their businesses, the community will remain a better place. Getting a spot in this cleaning experience is simple. All you have to do is book a cleaning service with Ready Set Maids and be sure to get some of the best maid service spring TX experience. It’s time you get someone to do the cleaning you. You might ask how the Ready Set Maids work? One thing you should know is that this agency saves you so much time, even before the maid service Spring TX comes knocking. We have an online booking platform which makes the booking process easy to understand and fill up. The platform is user-friendly, meaning that anyone can use it. There is a transparent flat-rate price that is charged after every cleaning service. We have taken to consideration that you may be busy, and for that reason, we are giving you a great opportunity to fix a cleaning schedule with the Spring TX house cleaning service that is hassle-free, all you have to do is fix up a schedule, and you’re good to go. They cleaner are trusted, as we ensure that we get only trusted personnel to work in your home. With this extra time on your hands, you can do anything you like, including; having fun in arts and festival events and visiting Old Town Springs sites you may not have seen before. Another cleaning service in the TX area is the “only the best home cleaning Spring TX superstars.” They are professionals who ensure that your home is safe and protected while cleaning your home. These cleaners will treat your home with the respect and attentiveness it deserves. Since all the cleaners are insured, you would not have an issue to worry, when an accident occurs in the house. The teams of cleaners are among the best teams of cleaners that have undergone intensive and extensive home training, including training relating to security. You can personally interview the cleaners you want, by -either calling the person, doing a reference screening or a one-on-one interview. These superstars are experts, and they are monitored throughout the cleaning process so that the high standard it has created with be upheld. The cleaning experience is usually rated from data given by customers, through the customer satisfaction survey sent to the clients. This cleaning services also do maid cleaning services over in cypress, and in Rosenberg, they do house cleaning. In Pearland, they clean carpets, and in Cinco Ranch, they do house cleaning services. In the Missouri city area, they also offer cleaning services. Why wait? Book your house cleaning in 60 seconds!